A string is a collection of letters, numbers and special characters surrounded with either " " or ' '. Strings can be assigned to variables, used to output text in alert()s or paragraphs, used to read or fill form fields – basically anywhere you want the user to know something, you’ll need a string. Before we delve into reading and manipulation of strings, it’s important to grasp that how you nest your speech marks matters. Whatever you start your string with you must end your string with as well. Here are some examples of valid and invalid strings. So a property is something that describes an object, or in today’s lesson, a string. To get a property of a string, you simply need the following syntax: string_name.property – where property is the actual name of the property you want to access. Some properties you can change, such as the text in a text box. Some properties are read-only such as the length of a string. All of the functions you will learn today follow the same pattern. If you assign a string to a variable then you run funtions with this format: string_value.functionName(). So you add a . after your variable name, then you have the function’s name, and then you need () which may have something in between them. On a registration form, you might decide all usernames must be a minimum of 8 characters long. On a forum post, or blog comment, or feedback form, you might want a <textarea> box to be limited to, say 500 characters. If you run a florists, and customers can specify a message to the recipient of the flowers, you might want a minimum of 11 characters (‘I love you!’). You can use the maxlength attribute on an <input type="text"> but this property doesn’t exist on a textarea – as labels have a restricted size, you’ll want to enforce a maximum length as well. So there are real-world examples of why you want to detect the length of a string. We then output a message (which is a string!) to an element on the page where id="lengthResult". If you have customer registration, you might not let them define their username. You might construct it from their first name and last name, for example. We’ll do a working example of this shortly. Note: this starting and ending letter is where your ‘invisible cursor is’. And it means this ‘invisible cursor’ is placed before the letter in question. So to start at the beginning of a string your starting_position is ZERO and not 1. This isn’t a normal registration form, because we are not using <form> tags, so this is just to demonstrate substring() to you! The key line here is: username = first_name.substring(0,3)+last_name;. Our new string username is made up of a substring of first_name, from position 0 to position 3. Then we just add on last_name. Very often you will want to check user input for certain things. For example, you might want to check that a contact form submitted hasn’t had any code inserted into it. Or if you maintain a SPAM list of e-mail addresses, you might want to check the user’s email against that list before allowing it to be sent. Thankfully, being able to search a string for a character, or even a string of characters is easily done via the stringName.indexOf() function. What is the Result of indexOf()? indexOf() gives you the ‘index’ – i.e. the character position – where your search is found. So if we used the email [email protected], indexOf('resource-centre.net') would return 9. If I had done indexOf('feedback') then the result would be zero because my search string is found at the start. What If the Search is Not Found? The indexOf() function is case sensitive. You need to be careful of this else you could think your search has been successful, but your script says otherwise. Try adding a capital or two into the search string with the above to see the effect. If you want to do a case insensitive search, then you should make both the string you want to search, and the search ‘query’ the same case, using the toLowerCase() or toUpperCase() functions above. An example has been included in the lesson download file at the end of this module. Because the search_string is not found from position 12 or thereafter, indexOf() will return -1 even though it is in there somewhere. We will use this to check if an email address has more than one @ sign in it. The minimum length for an e-mail is provided. In this tutorial we will be outputting the result to <div id="emailResult"></div>. With the wide variety of domains available, email addresses can be much shorter than they used to be. I’ve based my minimum length on the following: [email protected], i.e. 6 characters long. In one line of code we will also ensure there is at least one ‘@’ and at least one ‘.’ in place. Technically email addresses can be in the form of ‘[email protected]’ but that’s extremely rare and won’t be the case fo 99.9% of people visiting your website. So here we check if the email address is less than 6 characters and if either ‘@’ or ‘.’ are not found. If any of these things are not met, then we return an error message. We don’t need to know how many ‘@’ signs there are. We just need to know if there is more than one. That is what we use the another_at variable for. the @ and the . cannot be at position 0 for it to be valid. Instead of checking each of these individually we can use the “OR” statement ( || ) to check both at the same time. // the HTML5 'email' input will do some of our checking for us. // the @ and the . cannot be at position 0 for it to be valid. 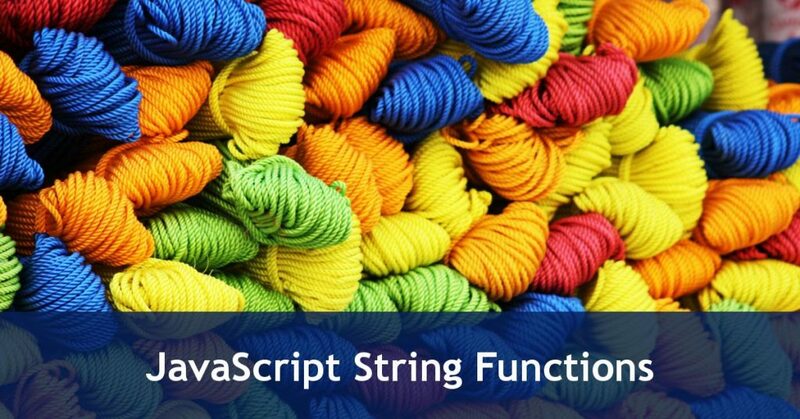 Take time to get to know string functions. With so many forms, web apps and even browser-based games, requiring text input, knowing how to handle that text will be vital for your next project.